I’ve never actually met today’s guest in the real world, but I feel like we’ve known one another for a while and I remember some of the big moments in her writing story: finding an agent, then a publisher, as well as some short story successes along the way. And so I’m delighted to have her here today to mark the launch of her debut novel The Night Rainbow and at the same time I’m looking forward to filling in some of the gaps in my knowledge. Hi Claire, I know you live mainly in France – how did that come about? We moved to France 11 years ago when I was 30. I had finally met my Mr Right, but I was working 60+ hour weeks away from home, so if we were ever going to have children, something had to change. The job was paying for the London flat, so a move was on the cards too, and we thought – why not take the chance to move somewhere we’d really like to live? We settled on the South of France, sold up and moved out, all within about 6 months. Although it’s not been plain sailing, especially financially, we have found work and also the time to pursue the things we really wanted in life – raising children, spending time together and – for me – writing. How wonderful it all worked out just as you planned. 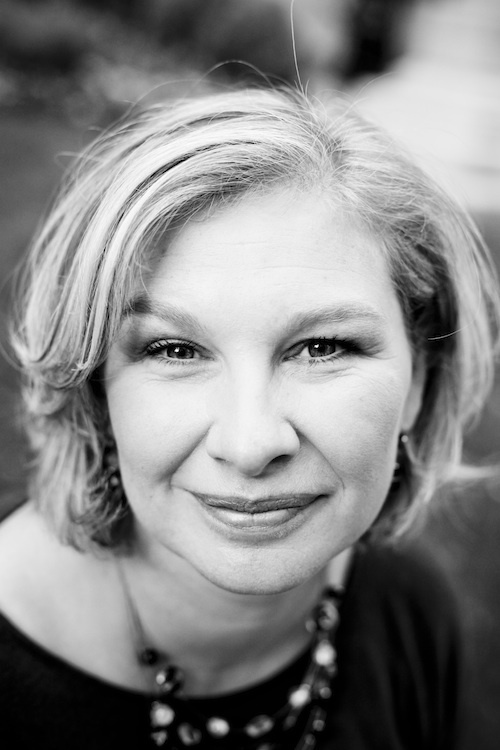 Did you ever feel that choosing the voice of a child for your novel was making it more difficult to sell, or was it an advantage? It was definitely a risky choice. A child’s voice is ‘unusual’ and therefore more of a risk, plus there are so many people in a publishing house that need to agree to take on a novel, by writing something potentially divisive, you’re diminishing your chances. But I strongly believe you should write your story however your gut tells you is best, and not worry about the odds of selling it at the end. The odds are low and unpredictable, so you may as well write it with conviction, as that will make the book shine. I hope that readers will also take the risk with Pea’s voice. Although several reviewers have talked of their initial hesitation, so far no-one has been disappointed! I’m looking forward to reading it. I know that being published with one of the ‘big six’ takes a while and I think you signed with Bloomsbury in 2011. What were the major steps in the publishing process and how much as an author were you involved? Yes, I signed January 2011 so it’s taken 2 years. To be honest the first year was quiet. The 2013 pub date was more to do with full lists than the time needed to prepare the book. Although Bloomsbury is now known as a ‘big’ publisher, the team is quite small, and they, quite rightly, didn’t want to squeeze me in without being able to give the novel enough care and attention, or of course to the detriment of other novels already bought. Launching a debut, in particular, seems to be a bit tricky, there are certain times of year that are best, that tie in with bookseller promotions etc and don’t leave you lost in the Christmas rush. Over the last year things really heated up. First came editorial suggestions from my editor Helen (there were not many of these, which I put down to how polished the book was when I submitted it). Then there were copy edit queries, approval of copy edits and first page proofs. Thank for sharing these – the comments from your copy editor are really interesting from a writer’s point of view. Of course there were also the exciting things like cover art and blurbs, rights deals, and kicking things off with marketing and PR. I’ve been very involved at every stage. The team at Bloomsbury are very collaborative and lovely to work with. I’ve heard from other commercially writers that a lot is expected from authors in terms of marketing their own book. How have Bloomsbury supported you so far and have you been happy with what you’ve been asked to do? I think that across publishers, and even within publishing houses, the marketing and PR that goes with a book and an author varies incredibly. And I think that publishers are rather sensitive to talking too much about it, for fear that we authors will get sweaty at how we see the marketing spend and effort on our books compared to others. 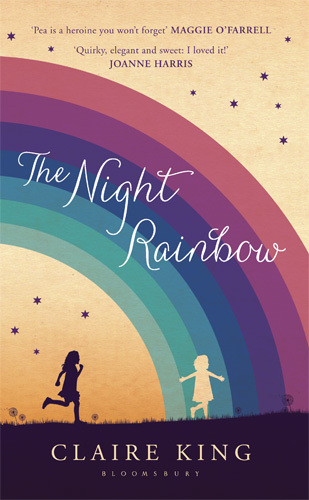 The Night Rainbow isn’t one of the huge lead titles being emblazoned everywhere this year, but I hope it’s going to be a great word of mouth book. Certainly the booksellers love it, and being included in the Waterstones Read & Review and Amazon Vine early readers programmes is ideal. A couple of other notable things that have been done for me as an author and for the Night Rainbow – The 2013 debutantes evening, where the Bloomsbury 2013 literary debs were introduced over drinks to booksellers and the press last autumn.That felt really very special, and was the kind of event you only get via a publisher. The other is my lovely book trailer (posted below) which I adore. Behind the scenes I know that newspapers, magazines and bloggers have been sent copies of The Night Rainbow to review, and although it’s hard for debut novelists, having the requests go out with the reputation of Bloomsbury behind them is a great help. What writing projects have you been involved with since being signed by Bloomsbury. And is novel no. 2 in the pipeline? Honestly, I’ve done practically no writing apart from on novel #2. It’s written now but I’m still going over and over edits. It feels like a bad time to be doing it, because there are so many demands on my time right now as it’s launch month for The Night Rainbow. Plus every time someone says something wonderful about The Night Rainbow I feel a slight stab of panic about making this new book as good and better. I think it’s just a case of distorted perspective, and once things quieten down a bit I’ll have these edits in the bag and will feel much better! Then I’d like to write a few short stories before I go again with the third novel. I know you are also a prize-winning short story writer. What have been the highlights of that career? 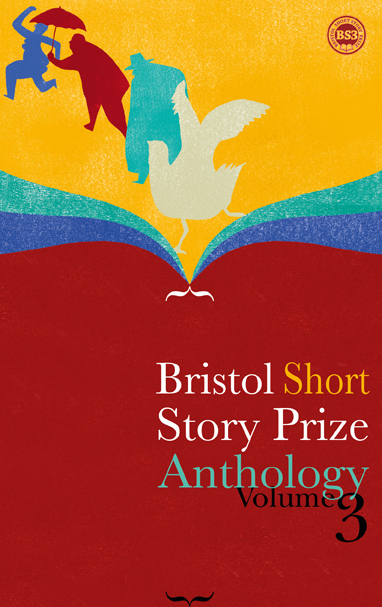 I’d really like to mention the Bristol Short Story Prize in 2010, because it was a moment in my writing life where I really felt encouraged. I was on the verge of submitting The Night Rainbow, and had been tweeting with writers for a while but hadn’t really got anyone I could chat to face to face. I left my daughters, then 2 and 4, with my husband and travelled to Bristol as one of the shortlisted writers. The atmosphere was amazing and I got a huge boost from being nothing but a writer, just for one day. Good question, Alison! I don’t have a system at all. Although I can be found on Facebook and Google + I’m not very active, and my main socialising tends to be done on Twitter, which I love. I think for Twitter to work well, for your own sanity as well as anything else, you need to be genuinely interested in other people on there. I’ve got past 1500 people that I follow now, and am working on a one in one out basis, because I do like to hear what people I’ve got to know are up to and not just to feel like my stream is a lot of anonymous noise. That’s just too stressful. I don’t ‘do’ Twitter, I ‘visit’ it the way you’d visit a party: for a catch up, to hear interesting news and opinions and to share my own news and points of view. And so in the same way as parties, if I’m on a deadline or I’m spending time with my children, or I just need some thinking time then I don’t go. The temptation just to have a look is high, but I do think you have to focus on one thing or another, or else life becomes very fragmented, when – as a writer – what you really need is focus. T hat sounds a pretty healthy attitude. All the very best with The Night Rainbow – and the next one of course – and also for sharing your experience with us in such an insightful way. You can read an extract of The Night Rainbow and find links to your favourite bookstores here. Great post and fascinating to be able to read the editors’ notes and copy editors’ comments to Clair’s work. Most enlightening. Thank you, both. Really useful, isn’t it? Also sounds like a v. good copy editor! Thank you, Kit. I do love my editors! Ditto that and reassuring in a way to know there are eagle-eyed pedants to comb through a book and pick out all the little mistakes. But I’m wondering if you get such attention to detail with the smaller presses? And despite all the meticulous combing through, when The Night Rainbow was being translated to German, the translator found an error! It’ll be fixed in the next edition…and what are the bets that there are still others out there?! Hi Claire, thanks for dropping in ‘now that the hurly burly’s done’. Hope you are enjoying some R & R back at home. On the editing side I was really pleased that no typos/errros had been picked up in ‘Kettle’ – then got a telling off for a mistake in geography which neither I nor my editor had even thought to check ! Previous Previous post: Who said February is no fun?